Anyone suffer from sticker shock for a simple item? We had one of those moments recently, and thus needed to find a creative and cheap solution for starting our “Balinese”/tropical garden. 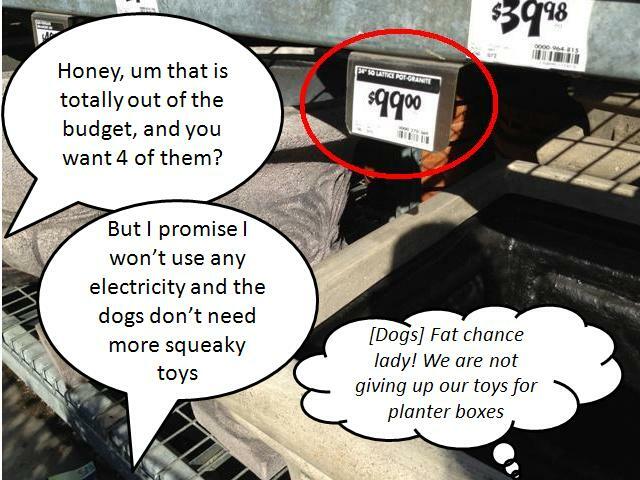 Home Depot, Lowes, etc had beautiful pots but not the right price…Ouch! We have this really ugly side yard, long and narrow, where every drain and vent of the house seems to congregate. Also this side yard does not have a stitch of soil or unpaved area. Thus we needed large planter boxes or pots to start our garden. Searching local plant nurseries browsing and drooling over beautiful clay pots, I found wooden tree boxes tucked away in the corner. 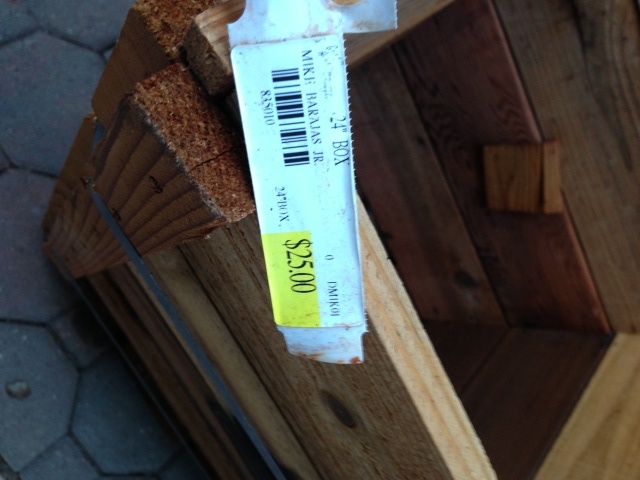 At $25 a piece versus $100+…Deal! 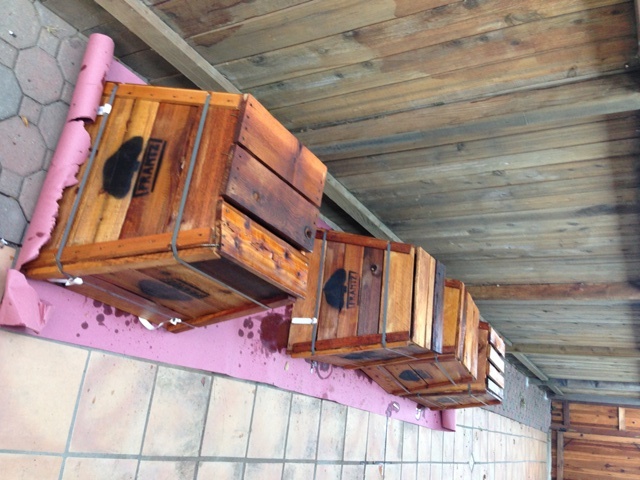 We stained the boxes with preserva wood stain in redwood left over from all our staining projects, including our guest book adirondack chairs. 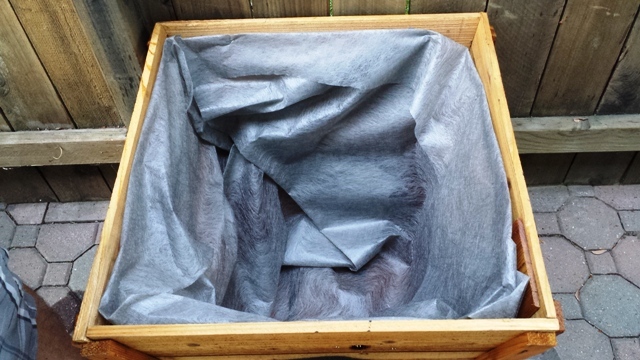 (Make sure to lay paper or a tarp to protect the ground from stain) Don’t forget to stain the inside of the boxes since moisture will collect there. 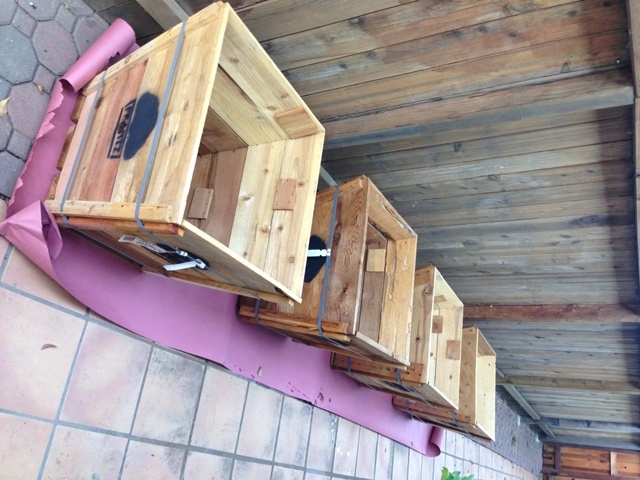 Then we cut large sheets of professional landscape weed block/fabric and lined the inside of the boxes. 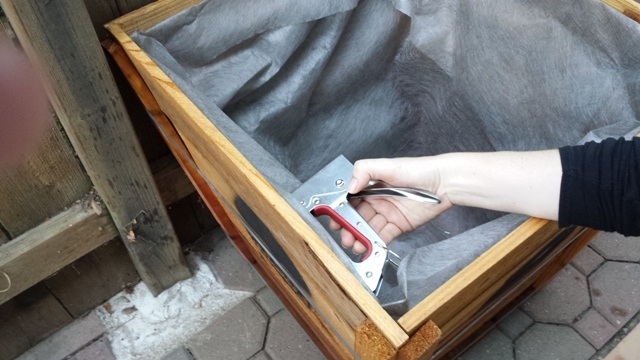 (Be sure not to use the thin plastic kind, because it will tear easily) Securing the fabric to the inside using a hand staple gun and staples. Another great feature of tree boxes, with a little chicken wire, the plants are high enough off the ground and safe from curious doggies. Once filled with soil, it was the perfect planter box for the first addition to our tropical garden. We hope to reveal our tropical/”wanna-be Bali” side yard in the coming months. 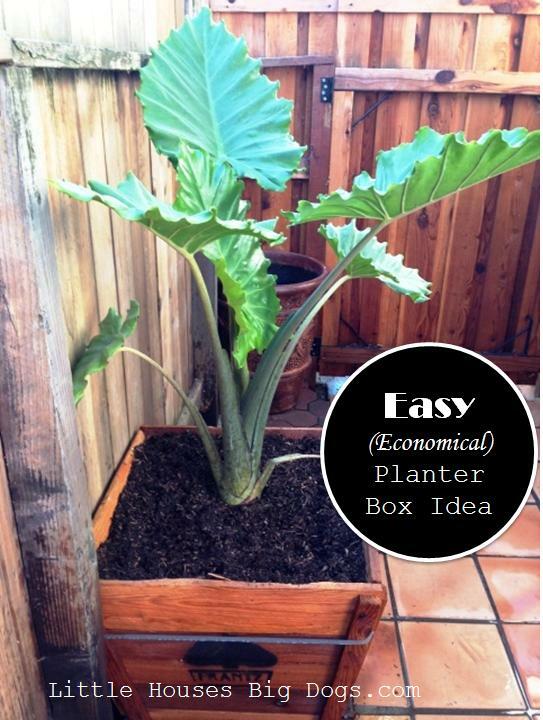 This entry was posted in Dogscape Design and tagged Bali garden ideas, cheap planter box idea, easy planter box idea, elephant ear, lush sideyard, tree box planter, tropical side yard by Tandra. Bookmark the permalink.